A favourite destination for all coffee lovers, Costa prides itself on real coffee made by real people. Every Costa barista is unique – not only expert at making the perfect coffee with speed and precision, but each bringing their own flair and creativity to every cup they make. 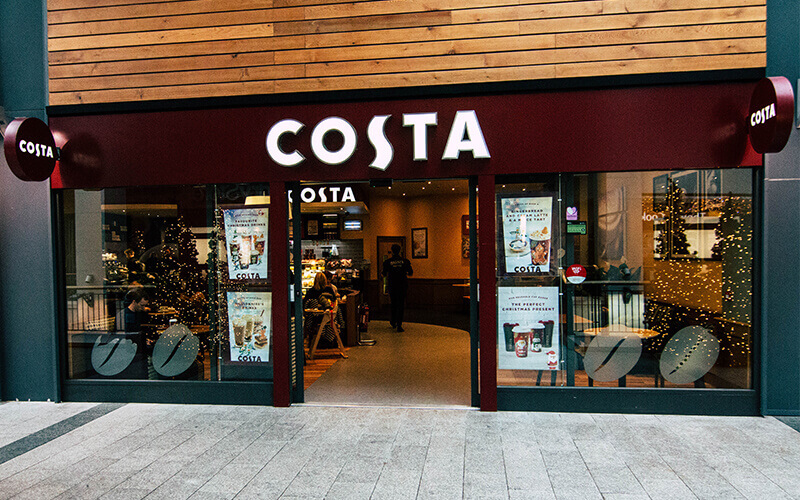 Drop into Costa at Victoria Square and get to know your Costa baristas for yourself, while you rest amid stylish modern décor. Indulge in handcrafted coffee, hot chocolate, teas and ice cold drinks, and enjoy a wide range of hot and cold sandwiches, cakes and pastries as well as FREE WIFI internet access.